Waterford Civic Trust will unveil a plaque at 12 noon on 3 O’Connell Street this Monday. THE JACOB BROTHERS, the men behind the famous cream crackers, will be honoured by the city of Waterford next week with a Heritage Blue Plaque at their former home. The Waterford Civic Trust (WCT) will be unveiling the plaque on Monday “to remind people what the Jacob family brought to Waterford”. WCT Chairman, Des Griffin, told TheJournal.ie that he hopes the plaque, which is one of many now around the city, will help remind people of Waterford’s rich history, adding that “Waterford has produced an inordinate amount of famous people”. One of Waterford’s most famous exports, the cream cracker, was created in the city during the nineteenth century by biscuit makers W&R Jacob. The company’s founders were Quaker brothers, William and Robert, the sons of Isaac and Anne Jacob. Isaac and Anne married in 1824 and lived on O’Connell street, while Isaac ran a bakery on Bridge Street. During the nineteenth century in Waterford, there was a huge demand to provide food for ships which created an opportunity for Isaac to produce biscuits, as they had become a staple food for sailors on long voyages. Isaac had become involved in early biscuit making, which had risen from the need to have food that would last long periods of time between ports, resulting in the creation of the cream cracker we know today. When Isaac passed away on 23 March 1839 his wife Anne took over the business until her two sons were of the age to take it over. By 1850 the brothers had taken over the family business when William consulted Robert about expanding their business into the manufacturing of “fancier biscuits”. William wanted to cash in on the demand for fancier biscuits as tea-drinking became more popular, so to facilitate this the brothers obtained a larger premises. An advertisement appeared in the Waterford Mail on 9 November 1850 announcing the opening of the Waterford General Bakery at 69 the Quay. 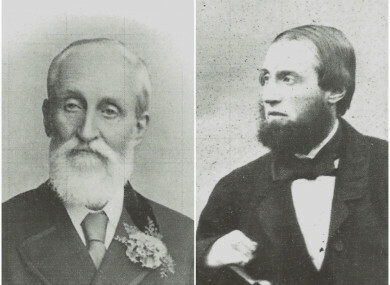 The Jacob brothers equipped the new premises with the most modern technology, even inventing their own machinery to solve problems they encountered in the day-to-day running of the factory. To take advantage of the bigger market in Dublin, the brothers established a factory there at 5 and 6 Peter’s Row, which was up and running as a biscuit factory by 1853. The Dublin factory was a huge success and by 1858 the brothers decided to close their Waterford bakery to focus solely on the factory in the capital. To honour W&R Jacob’s association with Waterford a Heritage Blue Plaque will be erected at Robert and William’s former residence. Waterford Civic Trust will unveil the plaque at 12 noon at 3 O’Connell Street this Monday. Email “Jacob brothers, creators of the cream cracker, to be honoured in Waterford ”. Feedback on “Jacob brothers, creators of the cream cracker, to be honoured in Waterford ”.